This game is set in a isometric world which basically a 3D world and will require you to be able to control the characters with skill if you are going to be successful in beating this game. Most of the gems you'll see will be found lying around, waiting for you to come and pick them up. Sparx can do most of the dirty work here. You'll also find plenty of these baskets strewn around, they're vulnerable to both your flame and charge attacks. Similar to the basket, but you can't open them with your flame, instead you will need to charge into these, though only requiring a small tap. Ripto's Banners can be found on walls around the Dragon World, flame them to get the gems that somehow are hiding inside. There are four different coloured locked chests; Gold, Purple, Green and Red. You'll require two halves of the same coloured key in order to open them, and they can contain either gems or an item that you may be looking to collect. And as with almost all of the previous games, you'll get gems from killing your enemies, the Rhynocs, though only the for the first kill, the rest of the time they'll drop nothing. To start a new game you'll have to go to the initial main menu when you start the game up, select Start New Game and then select one of the three spots for your save. Remember which one this is as you'll need to load the game from it. Saving a game is as easy as pausing and selecting Save Game. This option has three different types of missions for you to do. Head to Head where you compete against another player, Cooperative where you work together and Single Player where you work by yourself, and isn't a multiplayer game. These will only become playable after you complete the game so you may have to wait a while before you can start playing these. To play them you will need two GBAs and a link cable. I love to laugh at everyone talking... LOL! Especially the Professor, he's a weirdo. This game is really cute. I love the wonderful graphics and all the homelands. 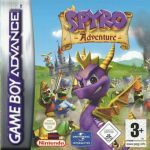 I think it's the best Spyro game for game boy advance. Where do you find the keys to open chests. I want it, yet I can not even find it on Ebay...any tips guys? Purple and gold? i didn't think they had colours. Besides, it's not my business. I've completed them all. All i got to do is round up all the gems from the Virtual Hideaways and buy the Master Thief's Explosives off moneybags. :I Can't Beat The Purple And Golden Stealth Missions!!! I Already Beat The Red And Green Stealth Missions, But Not The Purple And Golden!!!! ME AGAIN!!!!!!!!!!!!!!!!!!!!!!!!!!! LOVE THIS GAME!!!!!!!!!!!!!!!!!!!!!!!!!!!!!!!!!!!!!!!!!! !BEST GAME EVER-AGAIN!!!!!!!!!!!!!!!!!!!!!!!!!!!!!!!!!!!!!!!!!!!!!!!!!!!!!!!!!!!!!!!!!!!!!!!!!! 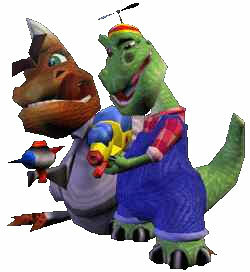 I Like Spyro: Attack Of The Rhynocs Too. 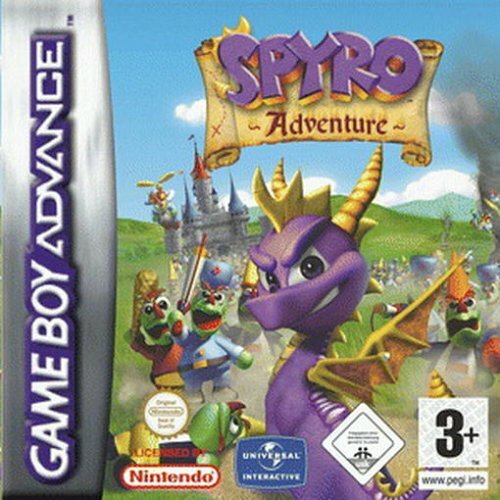 I Have All The Spyro Games For Game Boy, And I Like This Game The Most. 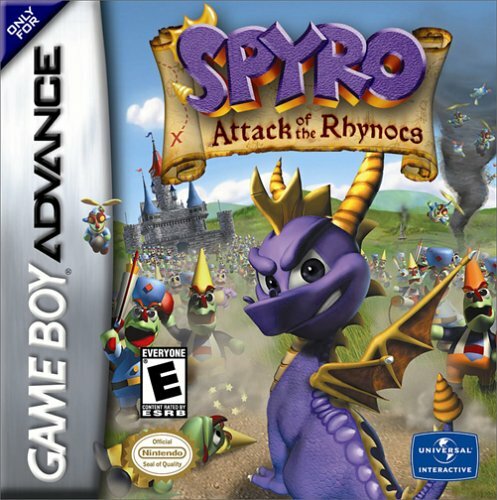 Really good game, second best Spyro game in my opinion! Though there's one problem, it's too short. Well, it did take me 2 days to get to Ripto's place, with plenty of breaks! This one was great with all the new minigames.